The hustle and bustle, heat and dust, hurried visits from monument to monument, marked to market can get a bit wearisome if there is no time off to just sit back and relax and enjoy the slow pace of of a rural, natural and rustic lifestyle. 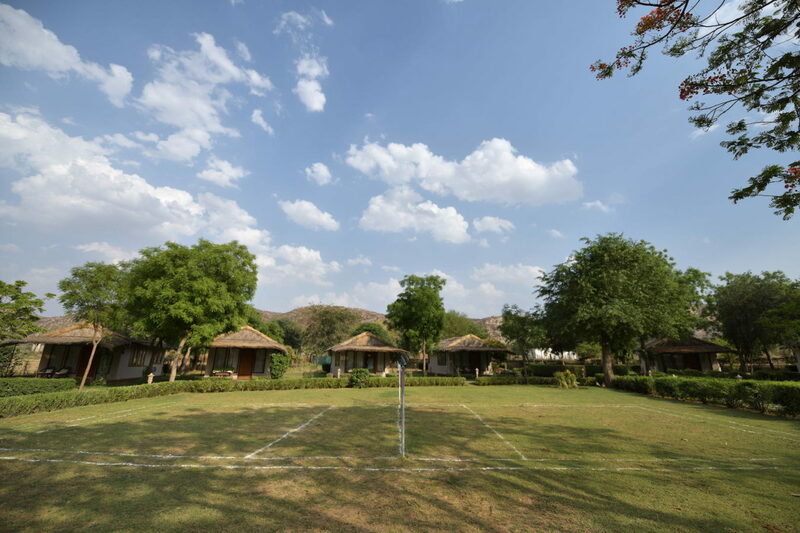 To break your journey between Agra and Jaipur, The Village Retreat offers a welcome break from the regular tourist visits to monuments, museums and market places and the hustle and bustle of the crowded cities and move towards the pristine and untouched lives of the real people of the land. The villages visited are tucked away within a valley inside the Aravalli Hills, where a community of the Meena Tribals are living. The joy and spirit of rustic life is palpable in the lively faces of the village folks. Here, in many ways, time has stood still and globalization has had little impact. To give you this experience in a most comfortable manner, The Village Retreat, Ghoomna is situated in the popular Golden Triangle circuit between Agra and Jaipur. It has 16 tastefully decorated cottages arranged around a green oasis garden and each cottage is air conditioned and has all the amenities expected of a city hotel. The property is serene, calm and green. With a delicious spread of continental and local delicacies, it is a perfect place to unwind in the lap of nature. Bird watching & Hiking are some of the other interesting activities offered by the Retreat. There are world famous sites in the vicinity such as the Abhneri Step wells, the Harshat Mata Mandir, and the Mehandipur Balaji temple. A visit to some of these is like the icing on a perfect cake. A golden triangle tour is incomplete without experiencing the timeless charm of rural Rajasthan.